In Great Britain, back in the days before Elizabeth II reigned, there was only one word for luxury—well, actually two words—Rolls and Royce—created by the amalgamation of C.S. Rolls & Co., and Royce & Co. Ltd. The first cars to bear both their names had put wheels to road in 1904, when Henry Royce built the cars and Charles Rolls attended to their sales and delivery. In 1904, the famous radiator shape was devised and shortly afterwards, the emblem of entwined first letters from each of the partner’s surnames became the symbol of Great Britain’s most legendary motorcar. Messrs. Rolls and Royce were, however, not alone in creating this commanding image. Also involved with the founding of the company was Claude Johnson, an associate of Rolls, who literally became the “hyphen” in Rolls-Royce, and the firm’s distinguished managing director. 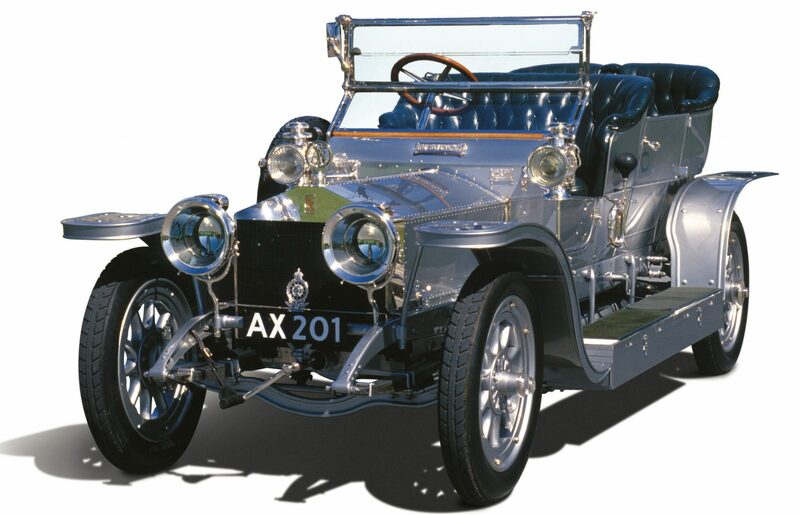 A year after the formation of Rolls-Royce Ltd. in 1906, the company introduced the Silver Ghost, a massive touring car named by Johnson for the 13th example produced, which featured a distinctive gray color scheme and silver-plated fitments. All 40/50-horsepower six-cylinder Rolls-Royce models thereafter came to be known as Silver Ghosts. 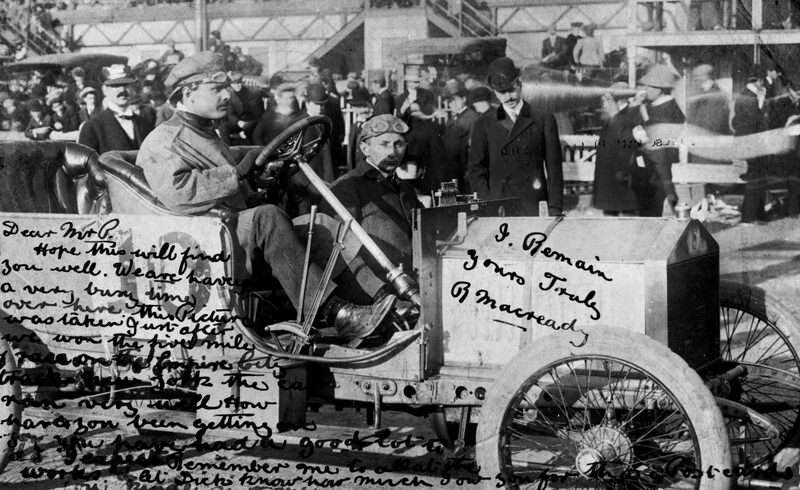 Wrote Johnson of the car’s unearthly nom de plume, “Silver, as being pure and hallmarked, and Ghost, as being symbolic of its smooth, silent, effortless movement.” Johnson also took it upon himself in 1907 to become the company’s promotional director and test driver, arranging for public demonstrations of the car’s performance and durability. 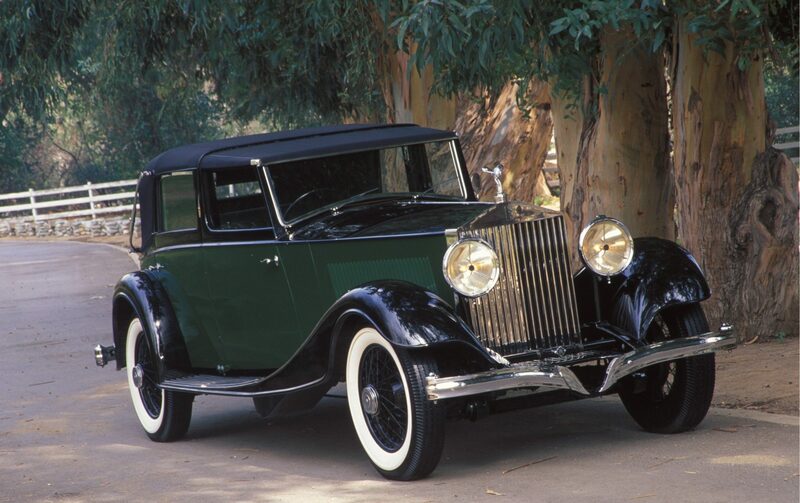 In advertising, Johnson proclaimed, “the six cylinder Rolls-Royce, not one of the best, but the best car in the World.” Those prophetic words, “The Best Car in the World,” remain linked to Rolls-Royce to this day. In June 1907 Johnson drove the 13th Silver Ghost in the Scottish Reliability Trial, knowing full well what the outcome of the ordeal would be. He had already run the 774-mile course a month before, and traversed the torturous, rough-hewn two-mile “Rest-and-be-Thankful” hill (which would finish many a competitor that June), in a staged contest against a White steam car. Having a penchant for showmanship, Johnson negotiated the final hairpin turn at the top of the hill four additional times, twice in reverse, for the benefit of a London Times photographer! In June, Johnson and the Ghost completed the entire Scottish Reliability Trail without incident, winning the Gold Medal for excellence in hill climbing, reliability, and fuel consumption. 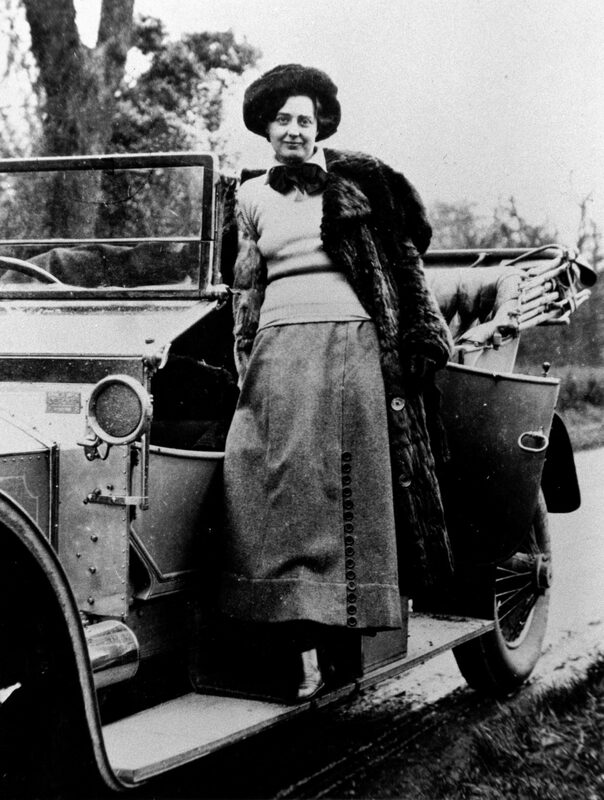 Ninety years later, this author and Richard Charlesworth, then head of the Rolls-Royce Public Affairs Department, drove the very same Silver Ghost, chassis AX201, through Scotland and up “Rest-and-be-Thankful” hill with the same results Johnson experienced in 1907. 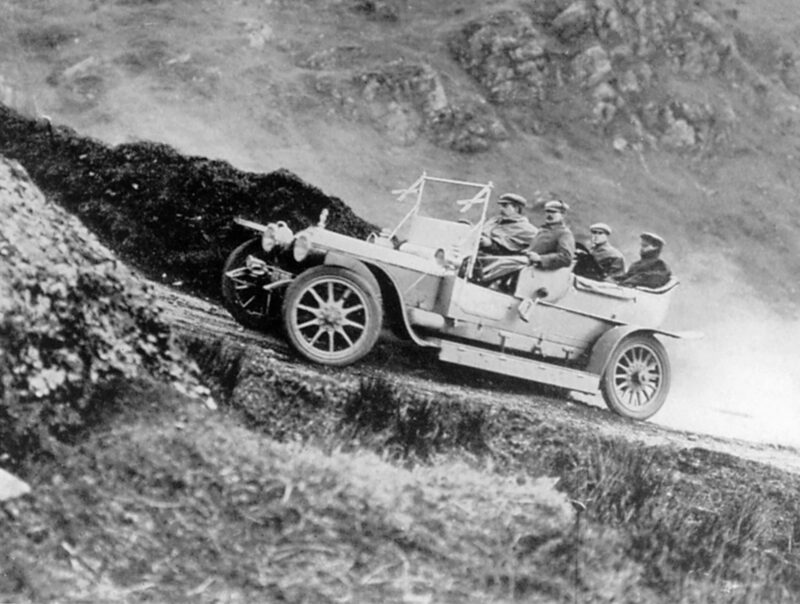 Along with us were 50 other Silver Ghosts from around the world, making the trek from Glasgow, along the west bank of Loch Lomond to Tarbeth in the Scottish countryside, where little has changed since the Scottish Reliability Trials first took place, or for that matter, since the time of William Wallace. The legendary Silver Ghost in 1907 as it charged up “Rest and be Thankful” hill in Scotland. From the onset, Rolls-Royce automobiles established an international standard for quality, luxury and engineering, and by 1910, the year in which pioneer aviator Charles Rolls died in an accident at the Bournemouth air show, the Silver Ghost had indeed become, as Johnson predicted, the most desirable luxury motorcar in the world—the voiture of monarchs, captains of industry, the famous and infamous. It remained in production until 1924, at which time Rolls-Royce drew upon yet another spirited name to describe its new line of luxurious, coachbuilt livery: Phantom. The Phantom I arrived in 1925 but the only significant change from the Ghost was the introduction of a new 7.4-liter (453.2 cubic-inch) overhead valve six-cylinder engine. The Phantom I was otherwise a transitional model, displaying coachwork similar to that of the later Ghosts, the same chassis and suspension, and four-wheel brakes, which were introduced on the 1924 models. New body designs did not begin to appear until 1928 and 1929, by which time the Phantom I was succeeded by the improved Phantom II. A 1913 Silver Ghost Town Carriage bodied by H.J. Mulliner. The cost in 1913 was $6,425. The new Phantom made its debut in September 1929; just one month before U.S. securities would tumble $26 billion in a single day, and Wall Street, the pillar of America’s economic strength, would crumble. The stock market crash and the Great Depression that would follow, severely hampered Rolls-Royce sales in the U.S. and ultimately lead to the failure, in 1934, of the firm’s American branch, Rolls-Royce of America, based in Springfield, Massachusetts. 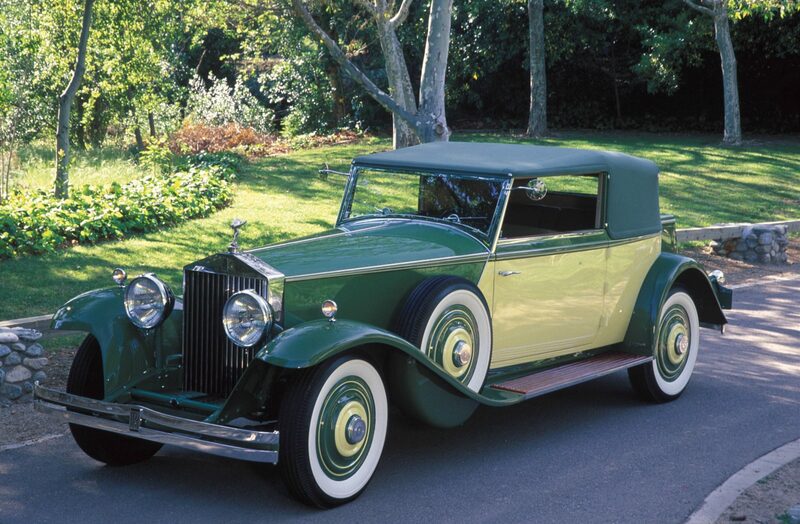 RROA had built cars, referred to as the Springfield Rolls, since 1919. Some of the greatest designs on the Ghost and Phantom chassis were created in the United States. The Phantom II was equipped with a revised six-cylinder engine increasing output to around 120 horsepower at 3000rpm, and later to 158 horsepower by using a higher 5.25:1 compression ratio and a new carburetor. Produced through 1935, the body styles offered on the Phantom II were the high-watermark in prewar Rolls-Royce coachwork. In the early 1930s, however, a six-cylinder engine was not impressive, not even one built by Rolls-Royce. American automakers were offering eight-, 12- and 16-cylinder engines, and the competition in the U.S. and Europe was expanding despite the economic effects of the Depression. Though it seemed to fly in the face of logic, Packard, Cadillac, Lincoln, Auburn, Pierce-Arrow and Franklin all had introduced 12-cylinder engines. Cadillac and Marmon had even debuted 16-cylinder models, the latter failing in 1933. In Europe, Hispano-Suiza had introduced the 12-cylinder J12, and Rolls-Royce with its inline six, was simply no match on either continent. Thus, in the fall of 1935 the British automaker doubled its ante with the 12-cylinder Phantom III. 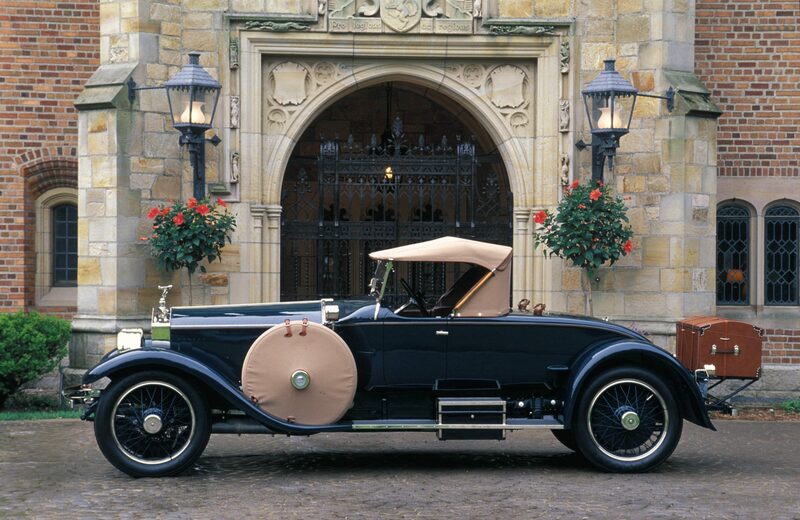 The first “sporty” Rolls-Royce was an American design on a 1921 Silver Ghost chassis bodied in Springfield. The Runabout design with a folding rear companion or “trap” seat was so well received that it ostensibly became the prototype for the famed Rolls-Royce Picadilly Roadster. 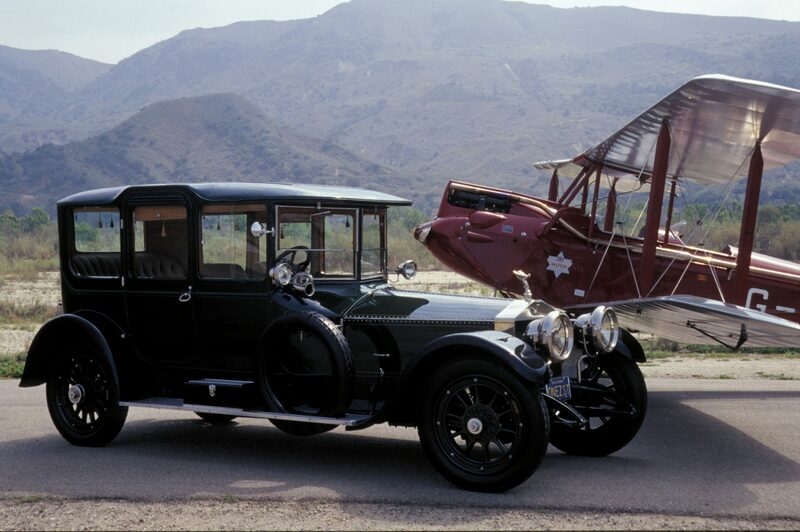 This car remained the property of the original owner, Seymour H. Knox, from September 21, 1921, until his death in 1990! This was an entirely new Phantom, from the 142-inch wheelbase chassis and General Motors-type independent front suspension, to the massive overhead valve V12 engine displacing 447.9 cubic inches. The Rolls-Royce twelve delivered up to 180 horsepower at 3000rpm and could easily take a full-bodied town car up to 85mph. Later models with overdrive were capable of nearly 100mph in top gear, making this the fastest and—thanks to the improved suspension—best-handling Phantom ever built. It was also to be the least produced prewar model, with total deliveries ending at the 727th chassis in 1939. 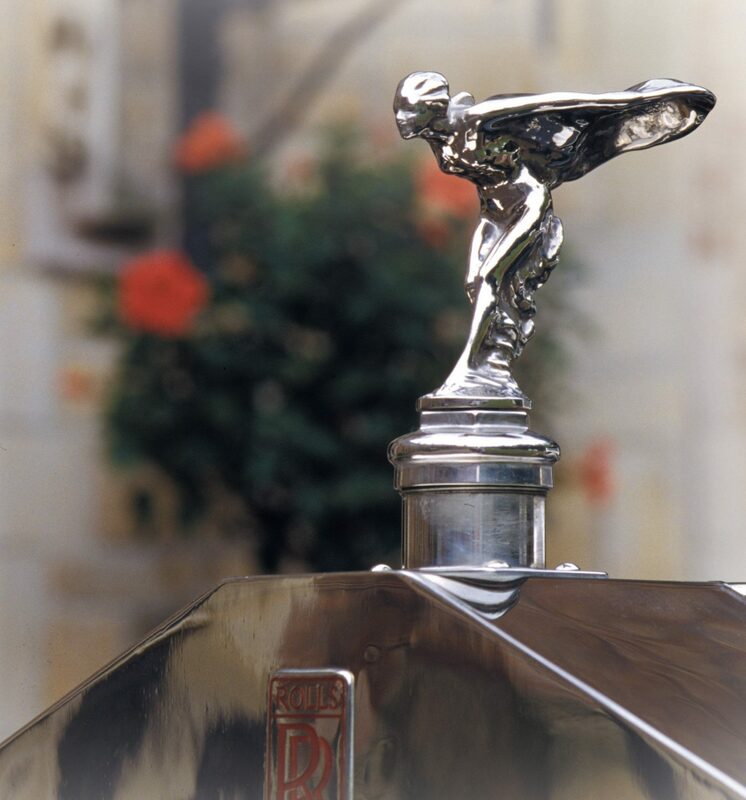 Of course, Ghosts and Phantoms, though the most exclusive Rolls-Royce models, weren’t the only examples to bear the RR emblem and Spirit of Ecstasy mascot over the past 100 years, and not every vehicle to carry the Rolls-Royce name was a luxury car, or car at all for that matter! When Great Britain went to war in 1914, the Rolls-Royce Company was asked to turn its efforts to the manufacturing of aero engines. The company decided to design its own range of engines to be named after birds of prey, such as Eagle, Falcon and Condor. It was not long before Rolls-Royce aero engines enjoyed the same reputation for excellence as their automobiles. The elegant and stately Phantom I was similar to the last series of Silver Ghosts, produced in the early 1920s, and utilized the Silver Ghost’s chassis, suspension and four-wheel brakes, which were introduced on the 1924 Ghosts. 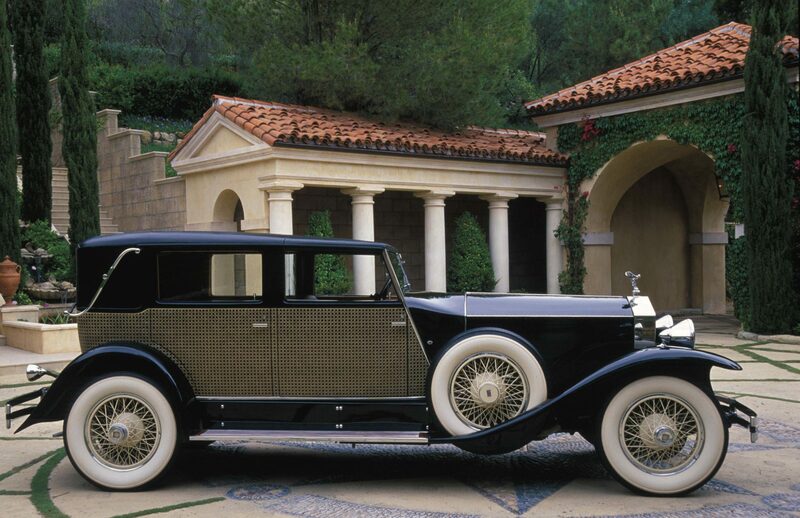 This Springfield Rolls town car was bodied in New York by Brewster & Co. and features the firm’s legendary hand-painted wicker canework on more than two-thirds of the body. The P II was lavished with the most luxurious coachwork of any Phantom model. Many of the stately coachbuilt cars had an air of flamboyance typical of the 1930s, but few had the uncharacteristic flair of this 1932 Croydon Victoria created by Brewster & Co. in New York. The body style was more frequently seen on models such as Packard and Duesenberg. This example was built for Mrs. Jessie Woolworth Donahue at a cost in 1932 of $18,600. Following WWI Rolls-Royce resumed motorcar production with the Silver Ghost, but also introduced a new, smaller, owner-driver car, the 20hp. It was developed and put into production alongside its larger sister in 1922. Although costing 40 percent less than the Ghost, it met the same exacting standards of design, materials and workmanship. In 1929, the Twenty and the Phantom I were both replaced. Royce’s new chassis, the Phantom II, was still rated 40/50 but was lower and the springing half elliptic all around. The car, although to Royce’s design and specification, was mainly the work of his West Wittering design team. Royce was influenced by the lines of the current Riley Nine, and the manner in which the rear passengers’ feet were tucked comfortably under the front seats in “boxes,” enabling “close-coupled” coachwork to be fitted. Another interesting variation on the Phantom II is this French-bodied Salamanca Town Car by Kellner of Paris. Superb coachwork with modern styling was now available and Royce decided on a lightweight sporting body, which Ivan Evenden designed, and Barkers of London built. This car became the forerunner of the legendary Phantom II Continentals. The introduction of the Phantom II, only four years after the Phantom I, was prompted by increasing competition from other manufacturers, particularly Buick in the U.S. and Sunbeam in England. Ironically, Edward Strong, the head of GM’s Buick division, had bought a Phantom I and it impressed everyone at Buick so much that they stripped it and copied much of what they learned! At the same time the Phantom II was introduced, the little 20hp had an engine enlargement from 3.1 liters to 3.7 liters. It was now called the 20/25hp and maintained Rolls-Royce’s reputation for the utmost quality, reliability and elegance. However, there was still a gap in the market that Rolls-Royce wished to exploit, which was for the more rakish, sporting car. Colonel T.E. Lawrence (Lawrence of Arabia) with his Rolls-Royce Silver Ghost tender in 1916. 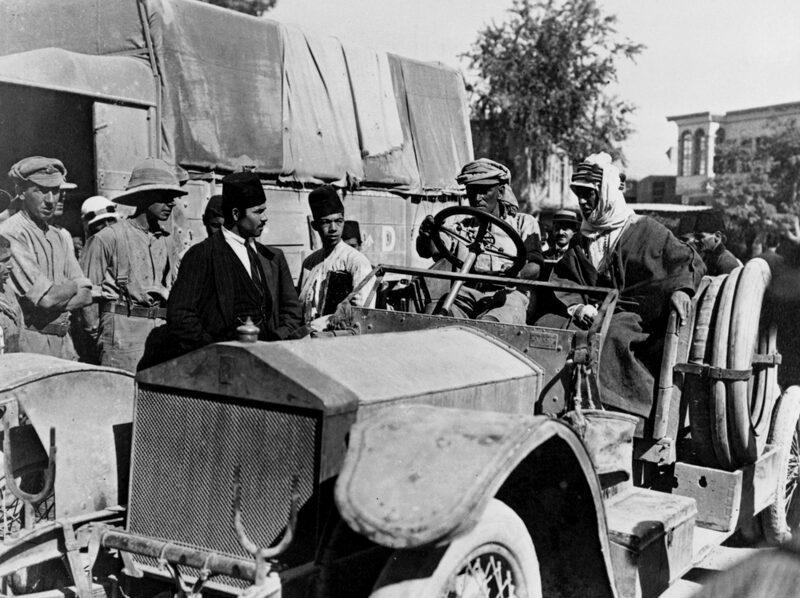 Rolls-Royce armored cars were used by Lawrence with great success in the desert campaigns. “A Rolls in the desert is above rubies,” said Lawrence. Until its recent acquisition by Volkswagen, Bentley remained a part of Rolls-Royce, and for the first time in more than 70 years, has become an independent marque. Rolls-Royce itself is now owned by BMW, although the cars are still built in the Rolls-Royce factories in England by many of the same craftsmen and sons of those craftsmen, who have seen to the construction of Rolls-Royce motorcars for decades. In 1936, the smaller 20/25 grew more powerful (and heavier) to become the 25/30hp. Further chassis improvements resulted in the 1938 Rolls-Royce Wraith, another spirited name. Development of these two independently sprung cars, however, was cut short by the start of World War II in 1939. Very few cars were completed in 1940, with production concentrated on aero engines, and also their variants for use in tanks and to power vessels such as torpedo boats. In a bid to increase and speed up the production of the Merlin engine, the Air Ministry commissioned a number of ‘shadow’ factories. Although Derby remained the hub of production, a new factory was built at Crewe. A total of 166,000 Merlin engines were produced. When peace returned to Britain in 1945, the Derby factory continued with aircraft engine production, by now with jets such as Derwent, Avon, Dart, Tyne, Conway and Spey. Motorcar production, meanwhile, began at the Crewe factory, where it remained until the new Rolls-Royce factory was recently opened at Goodwood. After World War II, Rolls-Royce management realized that the company would have to abandon the bespoke nature of its products and fall into line with other manufacturers in the postwar era. This meant designing a pressed steel body and taking responsibility for the manufacture of a complete car, rather than merely the chassis, which up to this time had been fitted with custom-made coachwork. The Cowley-based Pressed Steel Company was approached and Rolls-Royce launched its postwar program in the spring of 1946. Next month we continue the historic journey of Rolls-Royce into the post-World War II era and throughout the 20th century. The most beautiful body design available for the Phantom V was the James Young Touring Limousine, a mammoth four-door with boldly sweeping fenderlines and a swank turtle-deck trunk lid that belied the immense size of the car, just under 20 feet in length. A total of 92 were built. Powerful enough to effortlessly cruise today’s highways and luxurious enough to rival the most modern limousines, this Phantom V is by far the best car in the Phantom’s lineage. For Rolls-Royce, its postwar range of cars had to be significantly more profitable to produce, and moreover, cheaper to buy and run than those that had been built during the first half of the 20th century. From 1946, Silver Wraith chassis were still supplied on request to the few remaining coachbuilders, and many superb styles were fitted, but the standard steel-bodied cars were soon on the scene. The company was initially cautious. It didn’t know what the public reaction would be to the first non-coachbuilt cars, but they were well received and demand for the Rolls-Royce Silver Dawn, launched in 1949, was strong, especially in America, and a new market emerged at home, too. The engine of the postwar car was a straight six of 4,257cc capacity with overhead inlet and side exhaust valves, a layout adopted by Royce in his first two-cylinder car in 1904. The Phantom VI was the end of the line for the luxurious Rolls-Royce models, ending 66 years of production that began with the Phantom I in 1925 and concluded with the stately Phantom VI in 1991. 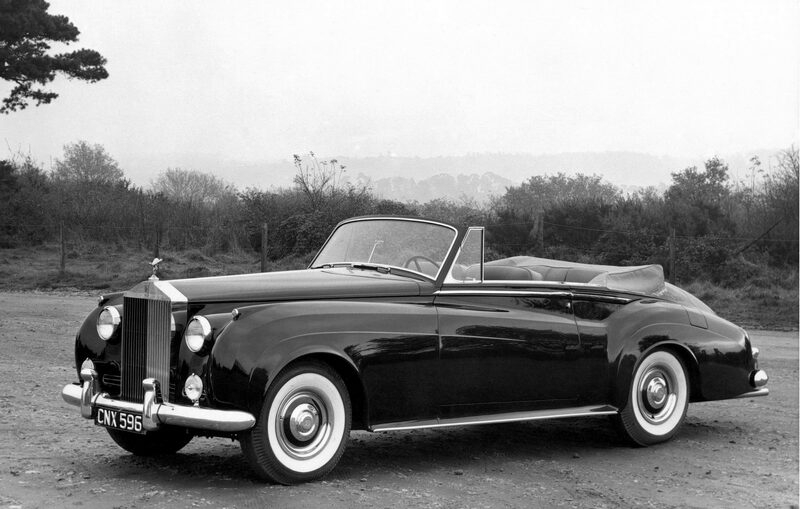 The next major model change for Rolls-Royce took place in 1955 with the introduction of the Silver Cloud I. It was fitted with the then current 4,887cc engine, but a totally new pressed-steel body was designed. On special request a separate chassis was also made available for the continuation of coachbuilt cars. Most Silver Clouds were fitted with automatic gearboxes, although a few were manual. The Silver Cloud I was followed by the Silver Cloud II launched in 1959. Though retaining the same body as the Silver Cloud I, the Cloud II was powered by a completely new V8 engine of 6,230cc. Coupled with automatic transmission as standard, the Silver Cloud II set new standards of refinement and performance. In 1962, a lower bonnet line and twin headlamps were introduced, and the Silver Cloud III was born. Engine power was upped by 15 percent and the top speed to 117mph. Rolls-Royce’s most significant model since the Silver Ghost, the Silver Shadow, took 11 years to come to fruition in 1965 and had many technical refinements. 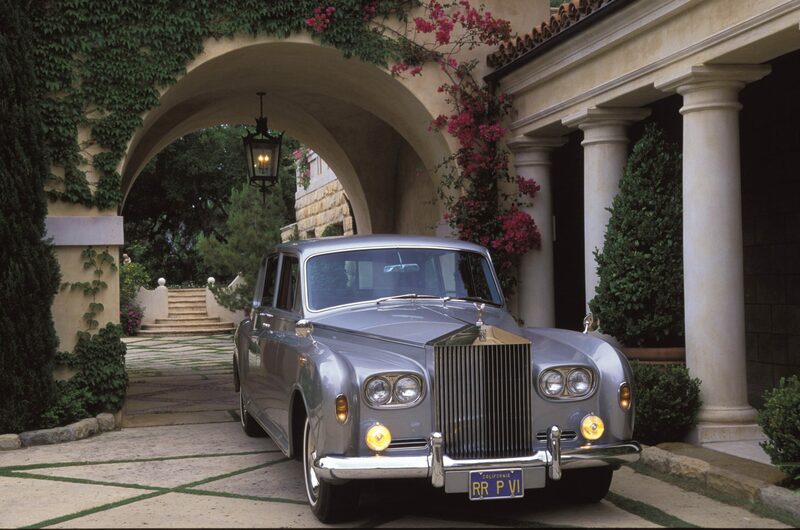 Under the code name Tibet, the Silver Shadow was the first Rolls-Royce to use monocoque or unitary construction. The Silver Shadow was a huge technical leap forward from its predecessors. The car had every luxury option possible at the time. Gear change, windows, seat adjustment, fuel filler flap, aerial, air conditioning and heating were all electrically operated. A hydraulic system *with pumps operated from the camshaft was also a considerable advancement, with power-operated disc brakes and self-leveling coil spring independent-suspension. The Silver Shadow was launched in October 1965, priced at £6,556. This made it around £900 more expensive than the Cloud III, but in technical terms the Silver Shadow was far superior—easily the most complex model ever offered by Rolls-Royce up to that point. The Silver Shadow and 1977 Silver Shadow II were destined to become the best selling Rolls-Royce cars ever, with 34,611 sold between 1965 and 1981. 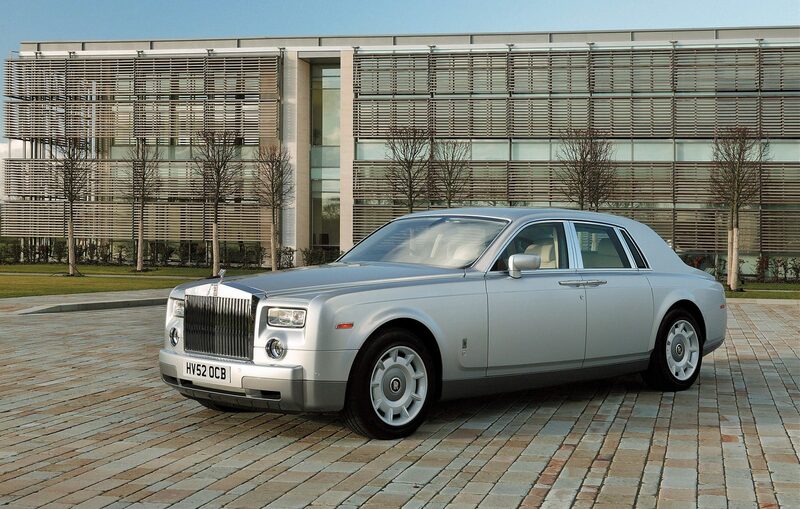 In 1961, Rolls-Royce combined its two wholly-owned, London-based coachbuilding divisions, H.J. Mulliner and Park Ward, to produce H.J. 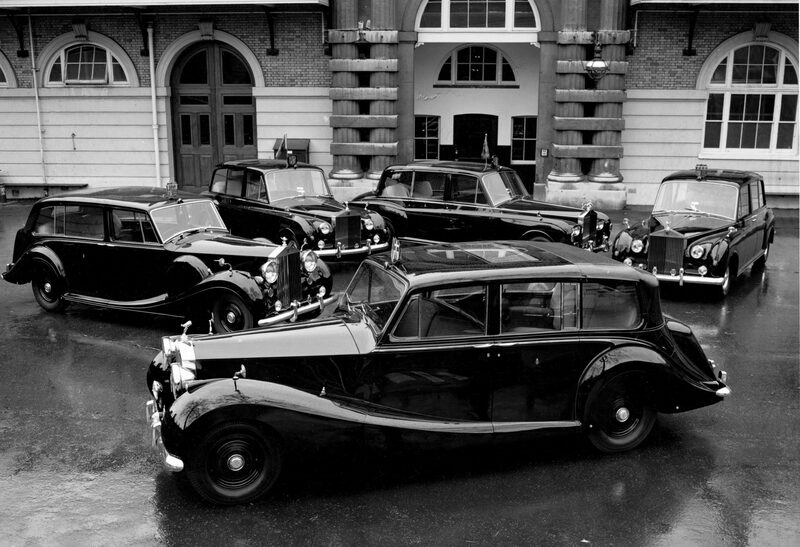 Mulliner Park Ward at their Willesden works, and they were therefore the natural contenders for producing alternative body styles. With monocoque construction the traditional coachbuilder’s techniques were no longer viable, and any new body styles would have to be carefully engineered. The Crewe styling department produced a beautiful, elegantly shaped two-door coupé derivative of the Silver Shadow, which was engineered and produced by Mulliner Park Ward. When launched in March 1966, it was priced at £9,849, nearly £3,300 more than the standard four-door saloon. This was followed, 18 months later, by a convertible version priced at £11,511. In 1971, these models were enhanced and renamed Corniche. Pininfarina designed the next two-door coupe, the Rolls-Royce Camargue, launched in 1975 and the first modern Rolls-Royce with a body designed by another company. It was priced at £29,250, nearly double that of the Silver Shadow. In 1971, the Rolls-Royce aeronautic and automotive conglomerate had gone into receivership, although it continued to trade for two years until the company was floated on the stock market. In 1980, Rolls-Royce Motors was merged with Vickers. A new range known as Project SZ was introduced in the same year. These cars were the Silver Spirit and Silver Spur. Externally these cars were entirely new but retained most of the chassis platform from the previous model. The major exception was the rear end, which was modified to accept a new rear suspension. This new system had been launched during 1979 on the Corniche and Camargue models. Development continued during the 1980s and 1990s, and included the launch of versions II and III of both the Silver Spirit and Silver Spur. In 1998, the Silver Seraph was launched with a 5.4-litre V12 BMW engine. This was the first Rolls-Royce model to offer a V12 since the Phantom III in 1939. Meanwhile, the Phantoms, long the standard bearer for the marque, had remained quietly in production since the end of World War II. Between 1950 and 1956, the ultimate Rolls-Royce motorcar available was the eight-cylinder Phantom IV, built only for Royalty and Heads of State. Only 18 were produced. 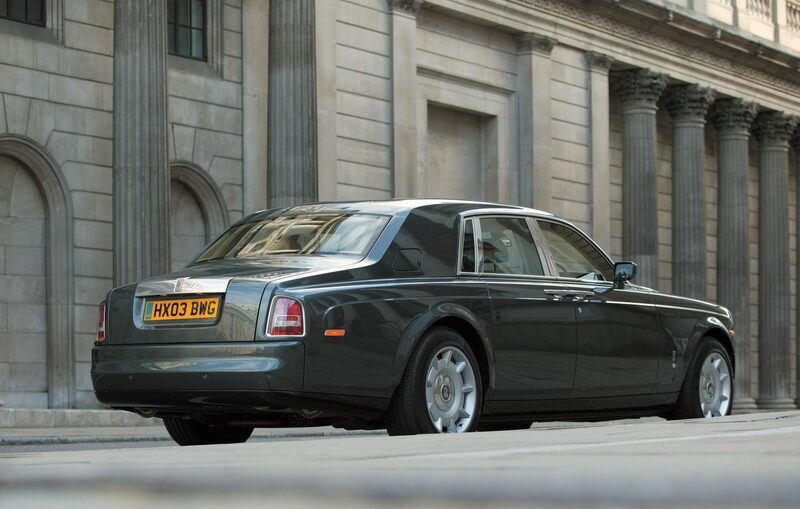 The later Phantom V and VI coachbuilt cars were, however, available to anyone with the money to buy them. As well as heads of state and Royal families, the Phantoms were the chosen motorcar of the newly wealthy: among the more famous owners of a P V was Beatle John Lennon. Built on a huge 3,683mm wheelbase, the vast majority of Phantom Vs featured Silver Cloud style bodywork built by Mulliner Park Ward. It was produced from 1959 to 1968 and mechanically mirrored the V8 Silver Cloud II. Some 516 examples were produced. The Phantom VI, powered by a revised 412-cubic-inch, overhead-valve, 220-horsepower V8, was produced through 1991. Based on Silver Shadow mechanicals, most featured Shadow-inspired coachwork. A mere 374 were produced marking the end of the 20th century Phantoms. To celebrate the marque’s 100th anniversary, a new 21st-century Rolls-Royce Phantom has been introduced, and like its great classic era predecessor, a V12 engine powers this Phantom. Thus, history has repeated itself, and quite remarkably so, as the new Phantom takes its place in a lineage of legendary cars that began in 1904. Known as The Spirit of Ecstasy, the Rolls-Royce flying lady has become the embodiment of the marque, a symbol recognized the world over since 1911. John Scott Montagu, a mutual friend of C.S. Rolls and Claude Johnson, had arranged for an artist, Charles Sykes, working for his motoring magazine, to illustrate the 1911 Rolls-Royce sales catalogue. Royce had for some while been concerned about the craze for attaching comical mascots, such as little devils, to car radiators. If you have an early model Rolls-Royce or another collectible you’d like to insure with us, let us show you how we are more than just another collector vehicle insurance company. We want to protect your passion! Click below for an online quote, or give us a call at 800.678.5173.